The biggest primary school is "Momcilo Zivojinovic" with over 2000 pupils. There is also a primary school "Kosta Đukić" in Mladenovac. 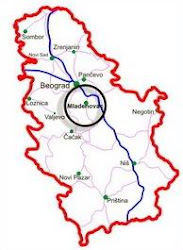 Also in Mladenovac exist 8 primary schools and 2 secondary schools. 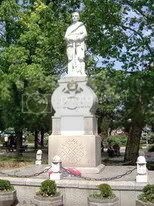 It has long history, school educated many pupils, and many teachers had worked in it. Everyone of them left a trace in school's history. Primary school Kosta Đukić was founded in 1968. The pupils have made very good results in math, chemistry, physic. It’s one of three town’s schools in Mladenovac and its nearby Selters spa. This school has also classes in villages Međulužje, Pružatovac, Markovac, Koraćica, Velika Ivanča. School in Koraćica exist for over 150 years. School is very successful in many fields. It had pupils in last years, who made good results on various republic and national competitions. The school has also a lot of playgrounds for basketball, football, etc. 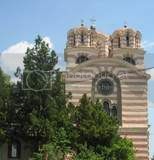 The Grammar School in Mladenovac iz very successful in Serbian and history, especially on republic competitions. Children's Festival of Folklore Mladenovac . This Festival is organized for children up to 15 years of age (musicians can be older, and there is no age limit for them), where they will represent traditional dances, music and traditional costumes of their native countries and regions. During The Festival, the children can relax in the morning on the swimming pool of our Sports Centre, where they will be accompanied by their hosts, and have all the medical supervision. Two days of the program will be held outside of Mladenovac: one day in Topola which is 20km faraway from Mladenovac, and the other day in Velika Krsna which is 15km faraway. The Folk Dancing Company "Vojvoda Janko Katic" from Mladenovac is one of the oldest folklore groups in Serbia.Three folklore groups participated from abroad and five folklore groups from Serbia.